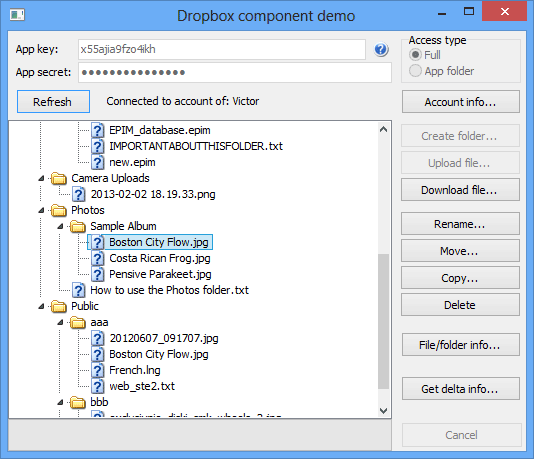 Dropbox Dlephi component is a non-visual Delphi component that allows working with Dropbox accounts using Delphi. 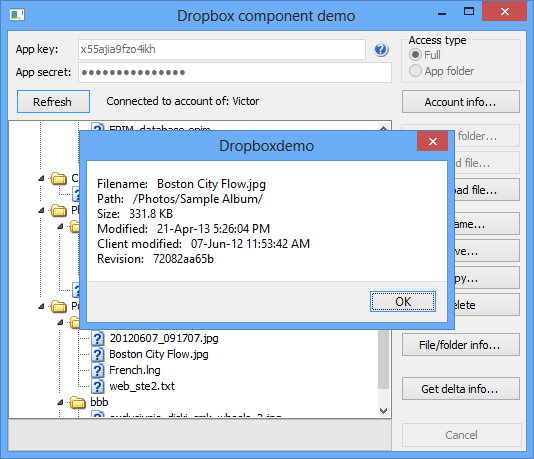 The component supports Delphi 7 and newer Delphi versions and works directly with the service using official Dropbox API v2. Official API use guarantees maximum compatibility and fewest possible modifications to future versions. Connecting to Dropbox and showing list of folders and files in treeview. Uploading Document.doc to Path folder. Click on the screenshot to view a larger image. ©2019 Astonsoft Ltd. All rights reserved.